There are a few reasons why you may have abdominal pain and back pain. It could be because you have been holding yourself tense because of your back pain. You could generally be in a state of tension/anxiety/stress which will often lead to stomach pain too. Nerves from the back do come around to the abdominals so it could be a referred pain. Many women experience both low back pain and abdominal pain around the time of their period. 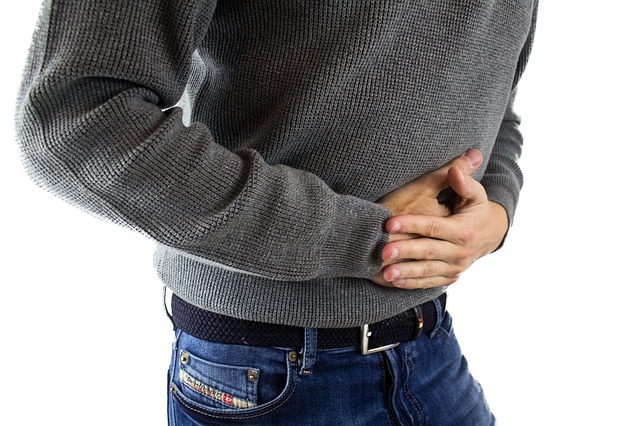 For most causes of abdominal pain coming from the organs in the abdomen the abdominal pain will be the most dominant pain and you would usually have other symptoms and feel generally unwell.